This week the exhibition“Endless Forms: Charles Darwin, Natural Science and the Visual Arts” opens at the Fitzwilliam Museum in Cambridge, England. It features a number of contemporary reactions in the fine arts to the publication of Darwin’s Origin of the Species (1859). One of its most stunning works is by the Pre-Raphaelite painter William Dyce (Scotland, 1806-1864). 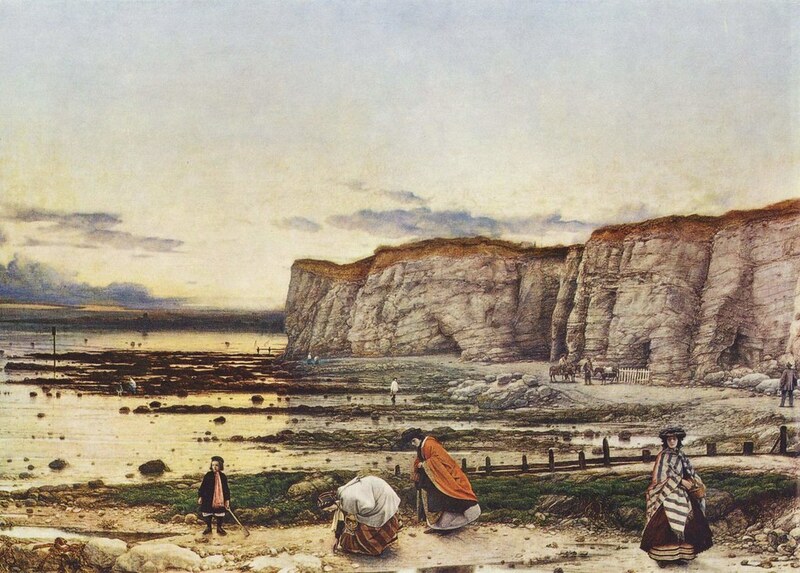 During the firestorm, from 1859 to 1860, Dyce painted Pegwell Bay, Kent – a Recollection of October 5th 1858. The title is a double entendre, referring both to his own memory of the scene and the collective rediscovery of relics from the dinosaur age. At first glance it looks like a typical, nineteenth-century landscape filled with well-bred people. Therein lies one of its great strengths: the commentary that behind something seemingly so ordinary there is a much greater issue at stake.